January has been a very productive month for the project, with good progress made both in finalising the initial ethnohistorical and archaeological background research, and in laying the foundation for the future phase of fieldwork with regional indigenous communities, later this year. Core health beliefs, concepts and practices identified from the intensive bibliographic research phase are now providing the basis for the construction of a draft questionnaire, to be taken into the selected participant populations in September. Dr Fernando Ortega and I first visited the Guangaje region of Cotopaxi province, including the remote community at Tingo Pucará (once the site of an Inca fortress in the late 15th century CE) earlier this month. Guangaje is close to the caldera of the long-dormant volcano Quilotoa, which, in around 1260 CE, exploded in an immense plinian eruption that destroyed an extensive region of the central Ecuadorian sierra and the pre-Columbian human occupations settled there. 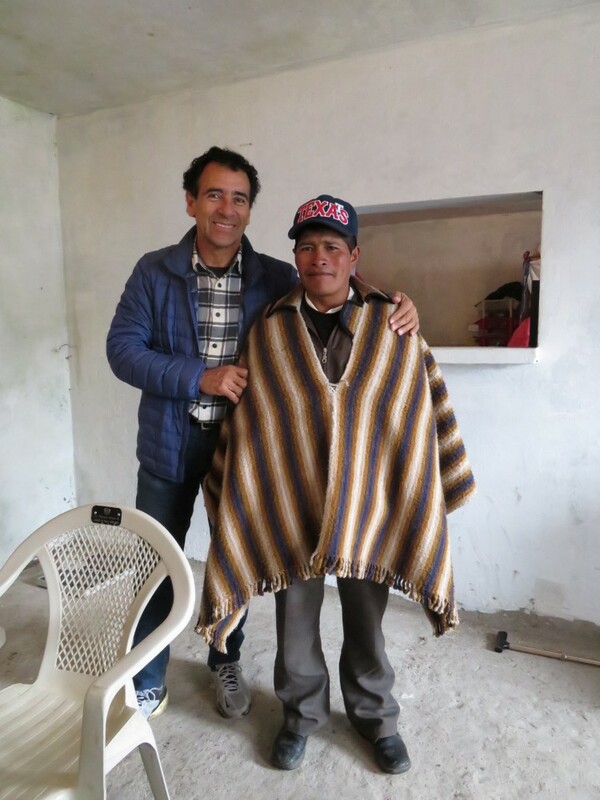 Fernando has worked for much of his life with health and infrastructural projects to benefit the indigenous communities in the remote sierra regions of Ecuador. The plan was to take the next series of baseline health data in the longitudinal study of a group of some forty indigenous children here, and was an ideal opportunity for me to visit and start meeting some of the community leaders, the yachakuna (traditional healers) and other people from potential study participant populations. It was a wonderful first-hand experience of the people I am here to work with, rewarding in just about every way; the warmth and friendliness of the people more than compensating for the coldness of these lands. 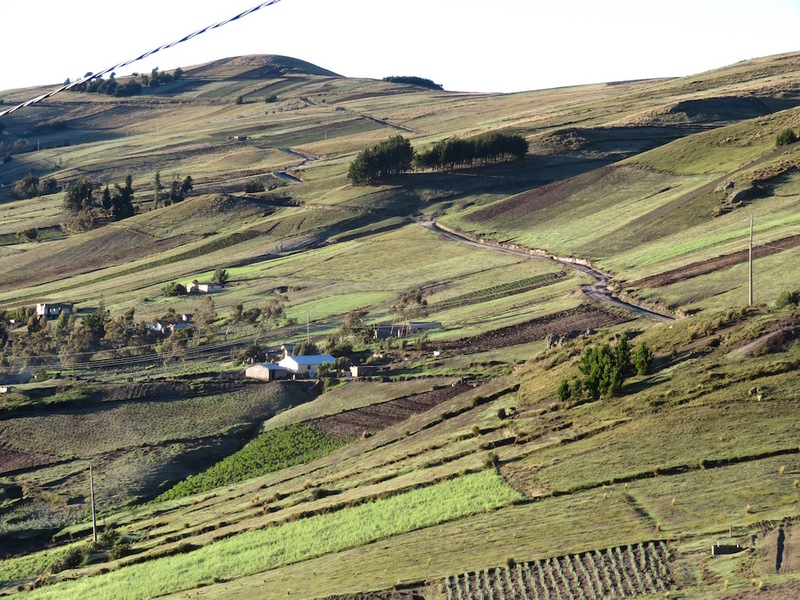 Here we are at an altitude of between 3,600 and 4,000 metres above sea level, well above the maize growing elevations. The soils are poor and support only a very basic subsistence way of life. Potatoes and broad beans (habas, or Lima beans) are the staple, augmented by occasional eggs and, more rarely, meat. Sheep and llamas provide wool; there are few cattle and dairy products. The protein consumption for growing children hence is limited; miscarriage rates for local women are high as dietary restrictions, high altitude and hard physical work combine to place additional stressors on the body adapting to the demands of pregnancy. For those pregnancies that successfully reach term, there is now some choice between more conventional western-style antenatal and maternity care, albeit at distant clinics, and traditional care provided local practitioners. Here I met one of the community ‘midwives’ – known as a partera – except that Agustín was a male yachak (and hence a partero), with expertise not only in treating a range of different illnesses, but also in delivering babies, a skill he learned from his grandfather. This might seem improbable, particularly in societies with traditional gender roles, yet it is not unheard of in indigenous Andean communities such as these. The measurement of height, weight and blood-oxygen/heart rate levels that were the base-line data taken, generated much interest and amusement from many of the local people gathered to watch. Everyone then wanted to have their body-mass index calculated, which became a general game. BMI being the standard indicator of modern western societies’ ‘malnutrition’ and lack of exercise, it was probably unsurprising that no-one had a high BMI here, where potatoes and beans are the staple, and hard physical labour a daily reality. This blog entry was posted on Wednesday 25th January 2017.